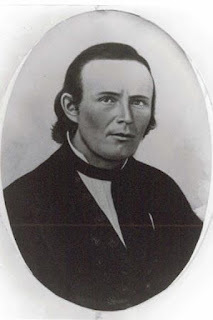 When considering the history of early California and the coming of the Anglos, because of the discovery of gold at the site of his sawmill, many are familiar with John Sutter. 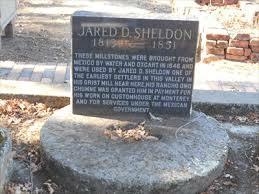 However, another early pioneer to the area was Jared Dixon (Joaquin) Sheldon. 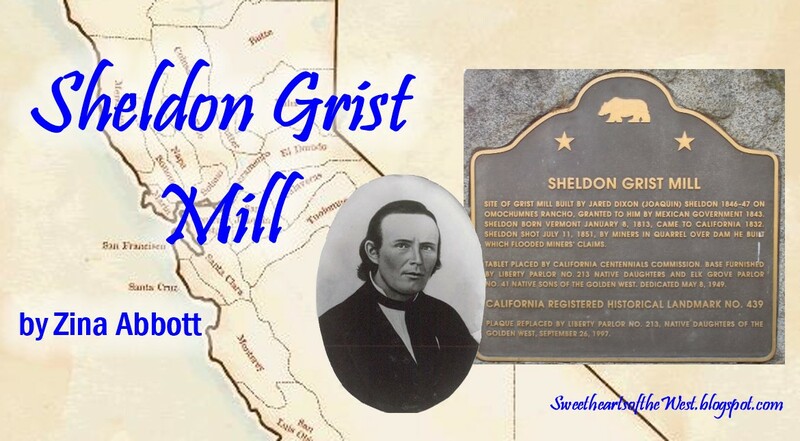 In 1845, Sheldon built a grist mill to mill wheat for Captain John Sutter on the Consumnes River. He came to the area after receiving a land grant from the Mexican Government. 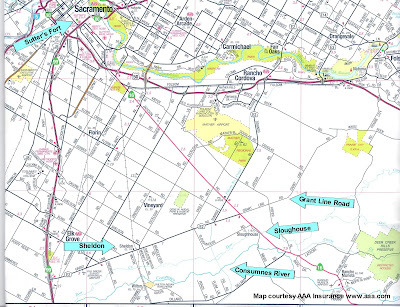 "Omochumnes Rancho" was about 14,000 acres encompassing Sloughhouse & Rancho Murieta. Just this past week I drove through this area where Jared Sheldon lived on my way to an American Night Writers Association chapter meeting. 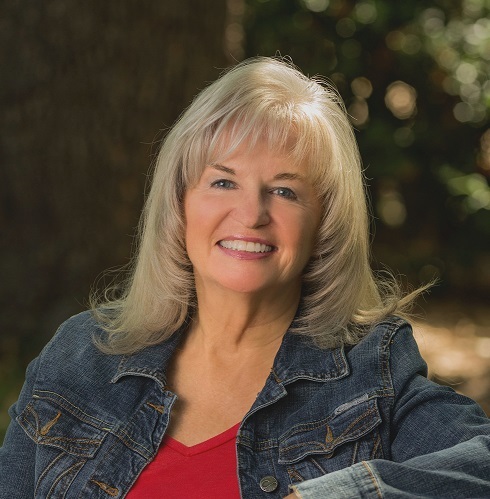 It was familiar territory for me since some 14-15 years ago as a union steward for the California Rural Letter Carriers’ Association, I traveled often to Folsom regarding a mail count grievance. 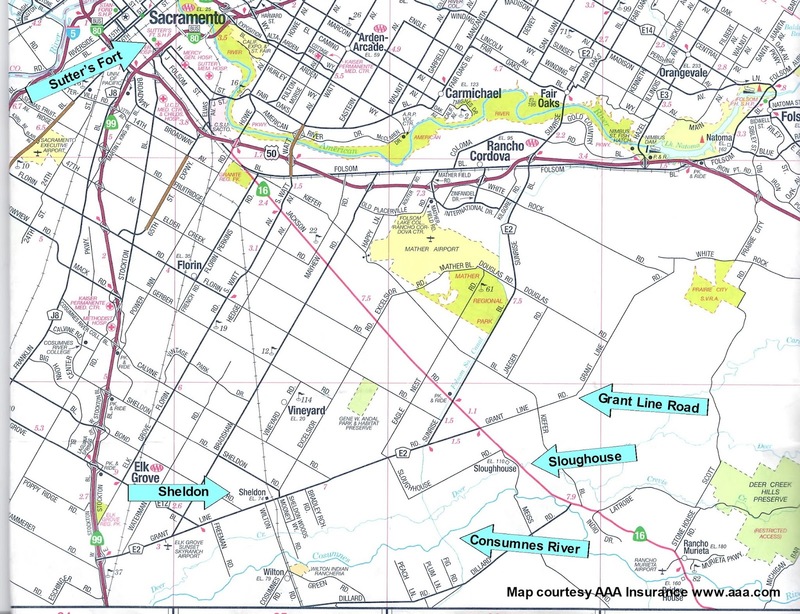 Rather than fight the freeway system through Sacramento, I exited off of Highway 99 onto Grant Line Road, one of the borders of the original Omochumnes Rancho, and traveled the many miles through mostly undeveloped land. While Highway 99, I crossed the Consumnes River, and I drove passed Sheldon and Sloughouse—all part of the 1845-1851 world of Jared Sheldon. Site of grist mill built by Jared Dixon (Joaquin) Sheldon 1846-1847 on Omochumnes Rancho, granted to him by the Mexican government in 1843. Sheldon born in Vermont on January 8, 1813, came to California 1832. Sheldon shot July 11, 1851 by miners in a quarrel over dam he built which flooded miners' claims. Tablet placed by California Centennials Commission. Base furnished by Liberty Parlor No. 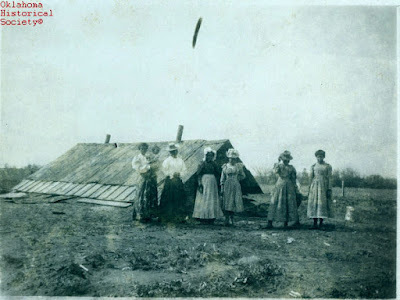 213 Native Daughters of the Golden West and Elk Grove Parlor No. 41 Native Sons of the Golden West. Plaque replaced by Liberty Parlor No. 213, Native Daughters of the Golden West, September 26, 1997. There seems to be some question about the millstones used in this mill. One source claims the grinding stones were originally cut from a place called Stony Creek, about 25 miles from Sutter Fort. Archaeologists and geologists suspect they probably came from the area of present day Rocklin. 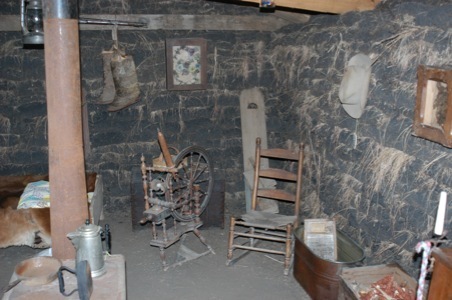 These millstones were brought from Mexico by water and oxcart in 1846 and were used by Jared D. Sheldon one of the earliest settlers in this valley in his grist mill near here, his Rancho Omochumne was granted him in payment for his work on Customhouse at Monterey and for service under the Mexican government. In 1880, the top ten female names were, in order from 1 (most popular) to 10: Mary, Anna, Emma, Elizabeth, (4), Minnie, Margaret, Ida, Alice, Bertha, and Sarah (10). What do you think? 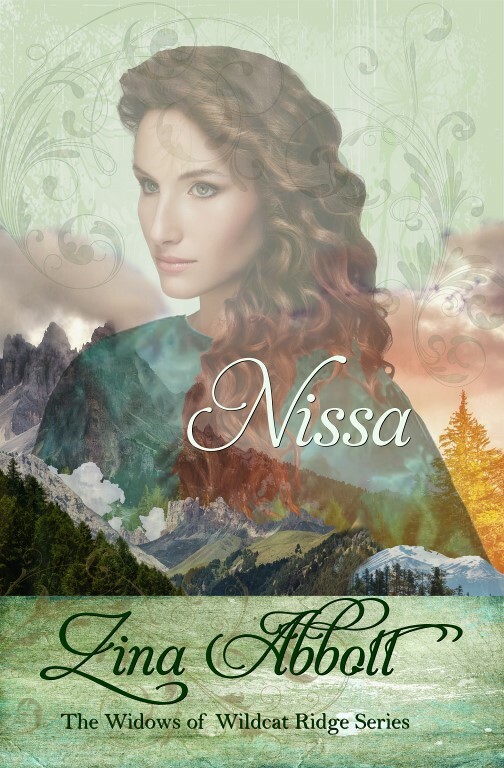 How do you choose your names for your female characters? What are your favorites? I'm giving away a print copy of my single author anthology A HERO FOR CHRISTMAS to one commenter today--be sure to let us know your favorite heroines' names! 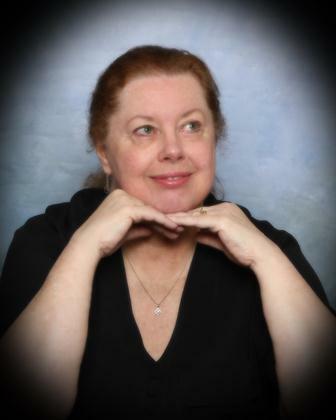 A few years ago, I was fortunate enough to be able to include four of my Christmas novellas in a single author collection, A HERO FOR CHRISTMAS. 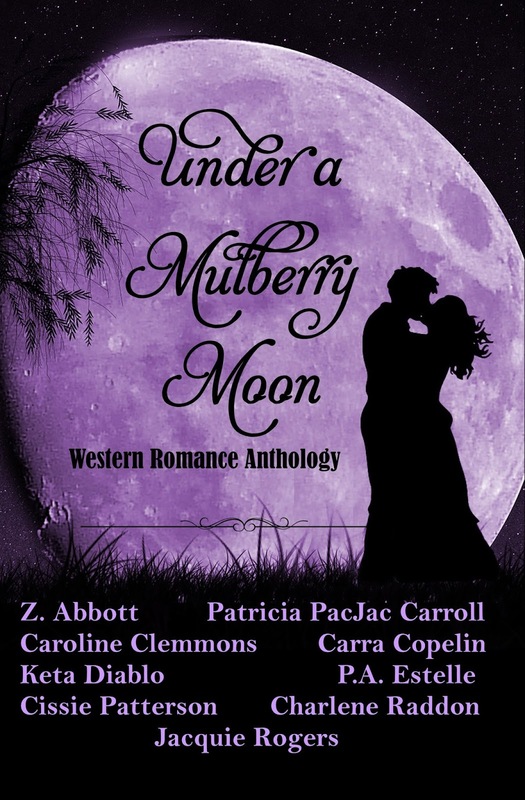 I will be giving away one print copy of this anthology to a commenter, so be sure to leave a comment about your favorite heroines' names and why you love them! And don't forget to add your contact info! Most of the stories I write have something to do with ranching. I live in an area of successful Texas ranches but I depended heavily on the book LONE STAR: A history of Texas and the Texans by T. R. Ferhrenbach for my research of nineteenth century facts. Fehrenbach refers to the precise period that interests me, post Civil War through 1885. This short twenty-year period comprises the time most often referred to for westerns—whether novels, television, or movies. Of course there were always cattle drives to get animals to a market. That might be to the next town, next state, or several states away from the ranch. Cattle were driven to found new ranches in Montana, Wyoming, Colorado, and other states. Market destinations included New Orleans, the Army, Indian reserves, even as far as Ohio. However, the massive cattle drives from Texas to Kansas occurred for only a brief period. 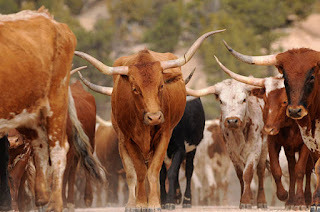 Texas had a law that unbranded cattle belonged to the finder. After the Civil War, thousands of unbranded cattle roamed the state. 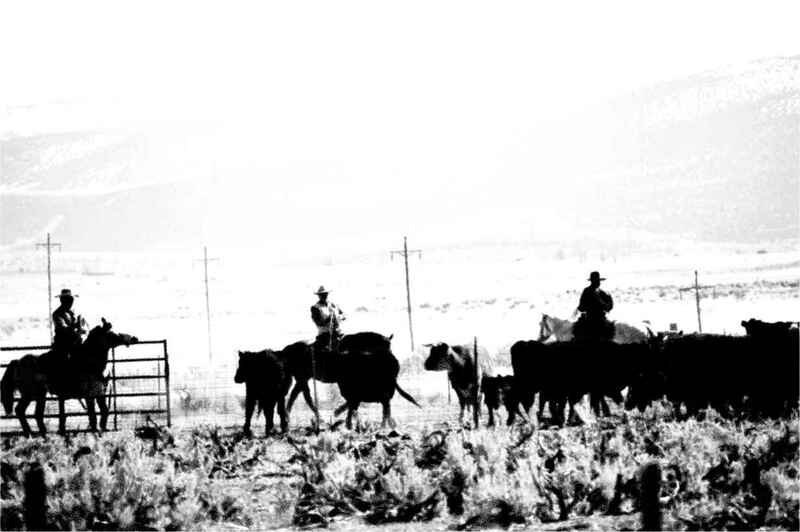 Many ranchers got their start by rounding up these cattle. 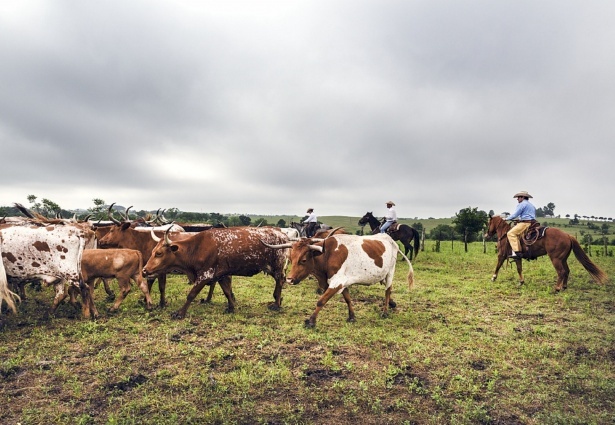 Cowboys received the same salary whether they were on the ranch or driving herds to market. At that time in Texas, a steer brought four dollars. In Kansas, that four-dollar steer could bring thirty or forty dollars. You can see how many ranchers became wealthy from these drives. These were tough, stringy longhorns well-equipped to walk to market. Cowboys drove them across Indian Territory—hoping to avoid Indians and rustlers—to the rail head in Dodge City. Once barbed wire became prevalent, the drives were over. By that time, rails had reached more cities and long drives were no longer necessary. 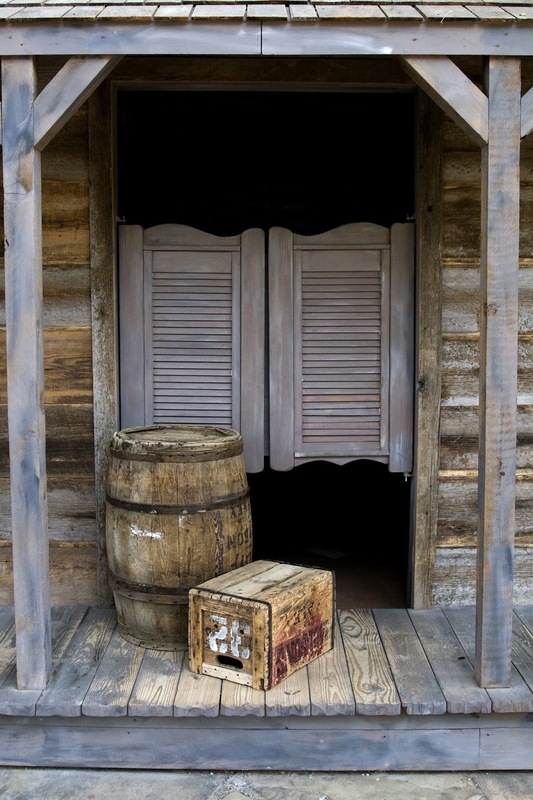 Fort Worth had two meat packing houses, Swift and Armor. 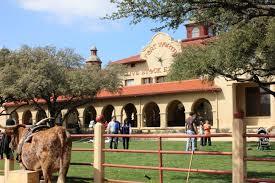 The Fort Worth Stockyards are no longer for cattle drives, but the Exchange is a hotbed of cattle sales online. Yes, technology has taken over the Old West. LONE STAR: A History of Texas and the Texans, T. R. Fehrenbach, American Legacy Press, 1983. Anyone who reads my books has learned that I don't sugar coat anything. Life is harsh. But no matter how harsh if we have hope, find love, and live life to our fullest, we have won. 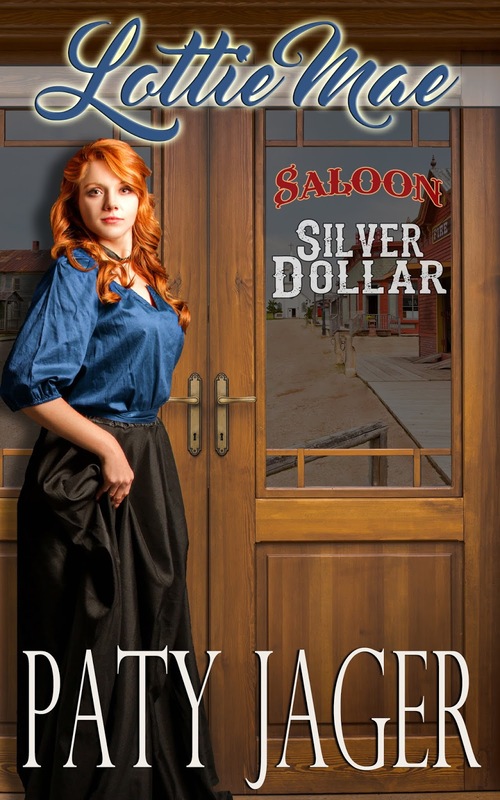 My Silver Dollar Saloon books have heroines who have found themselves wishing they were dead, that the man who beat them had killed them, or that they could hole up somewhere and not deal with humanity anymore. They all have had a past that most would have given up over, but they all have been found by the owner of the Silver Dollar Saloon and given a reason to get up every morning and have been shown that they are still a valued person who should have friends, love, and a feeling of community. Back in the late 1870's when my stories take place, most saloons consisted of a bar, a few tables for drinking, and a few for gambling. The whiskey was watered down and the quality of beer might be not as good as they touted. Women with questionable reputations delivered the drinks and gave favors upstairs. Many of these women were kept like slaves or prisoners to keep the thirsty men coming back to the establishments. Many saloon owners were the equivalent of today's pimps. They didn't care for the women other than to make sure they were selling whiskey and selling their bodies to whoever asked. My character, Beau Gentry, is different. His background makes him very conscious of how badly woman can be treated and what lengths they will go to keep their children and themselves alive. He finds women who have been cast aside by their families, their churches, their husbands, and gives them a job at his saloon. A saloon where the men are not allowed to touch the women or make lewd remarks. The best whiskey and beer are sold and the woman sing and dance as well as deliver drinks. 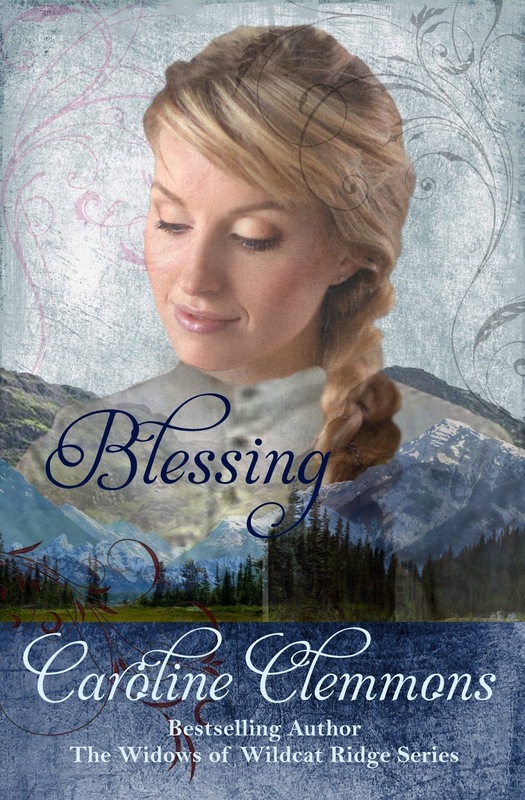 But because of Beau's strict rules and the steely presence of Mrs. Dearling in the boarding house where the women stay, the community doesn't reject or look down on the Ladies of the Silver Dollar Saloon as they do the other saloon girls in town. 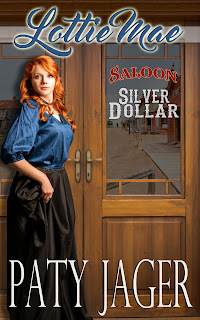 Here is my latest release in the Silver Dollar Saloon series. 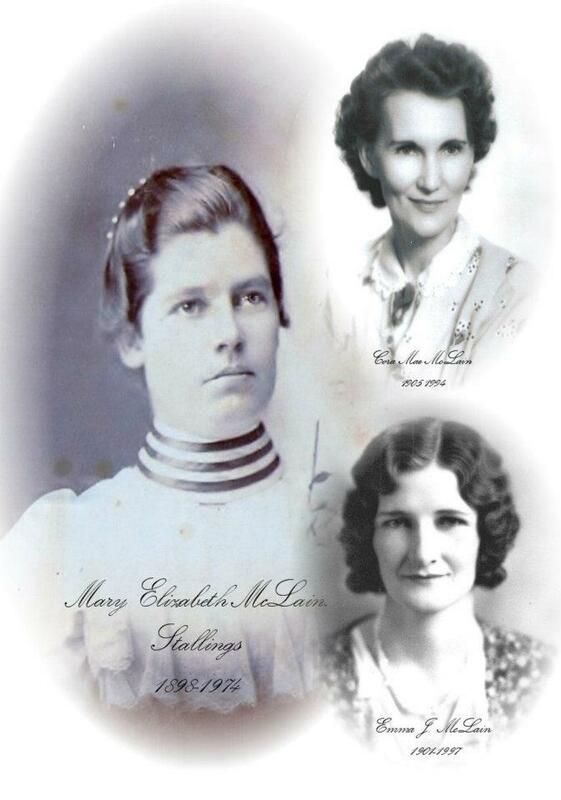 Another post in an ongoing look at early women performers that traveled or lived in the Old West. 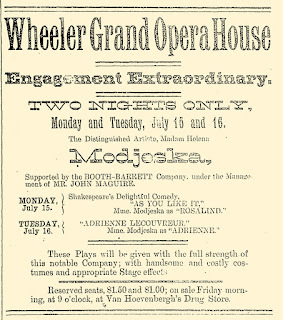 In Colorado, the Delta Independent of July 16, 1889 states "the great Modjeska is playing Denver this week." So what was it about a women born in Krakow, Poland on October 12, 1840 that would warrant the above statement in a paper over one hundred miles away from Denver? Born Helena Opid, Helena came from a family of performers. She married actor Gustov Modrzejewski , according to some resources his stage name, sometime in the late 1850's or early 1860. In the 1860's Helena performed in Poland where she was a great success. However, Poland was not an easy country to live in during that time, as it was under Russian Imperial Rule. One incident made an impression on Helena. It seems some school children had come to see one of her performances. They gave her a bouquet tied with the Polish national colors. Allegedly the students were expelled from school and banned from admission to any other school because the were 'conducting a political demonstration'. The story goes, one student shot himself, and Helena attended his funeral. In 1868 Helena married Karol Bozenta Chlapowski, who was known as Count Bozenta after the couple moved to the United States in 1876. 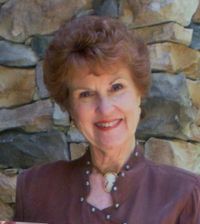 The couple wanted to ranch and bought land in California and Helena retired from the stage. However, ranching proved to be a failure and Helena returned to the stage in 1877. 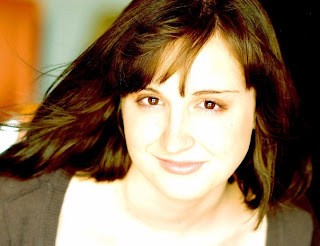 Helen struggled with English, but studied and overcame that drawback. Nonetheless, her stage presence overcame many obstacles. Helena continued to enchant the theater goers both here in the United States and abroad. The following ad appeared in the July 11, 1889 issue of the Aspen Evening Chronicle, Aspen, Colorado. 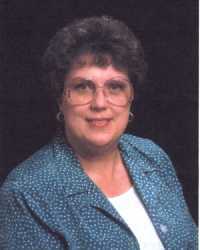 You will also note she is supported by the Booth-Barrett Company. Yes, it is Edwin Booth, brother of John Wilkes Booth. The Booth-Barrett Company was the premier theater company from 1889-1891. 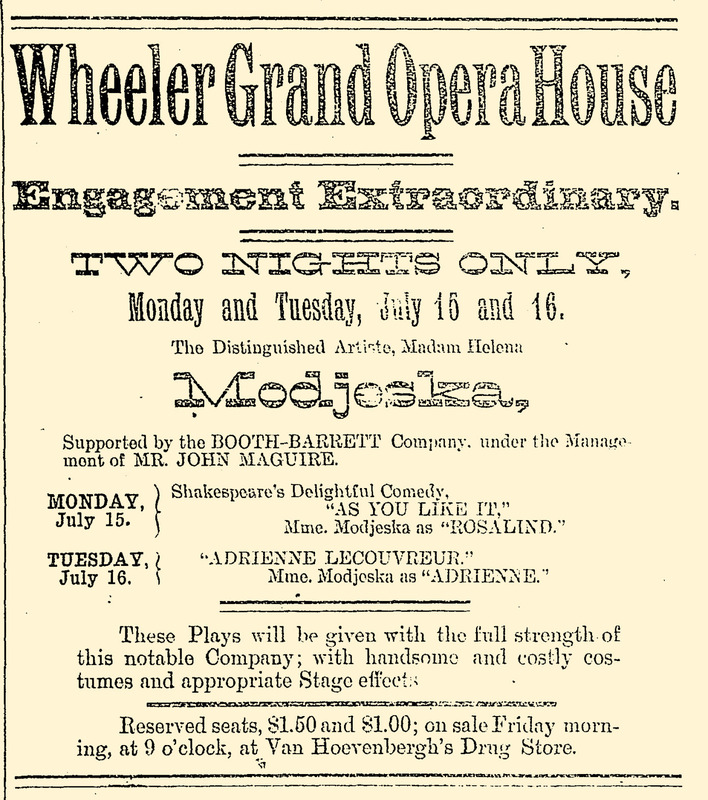 The July 24, 1896 issue of the Denver Evening Post, Denver, Colorado, had this to say of Helena's career, " Madam Helena Modjeska's name will always be associated with the great triumphs of the English speaking stage." She was known as one of the great interpreters of Shakespeare, having performed most of his works. 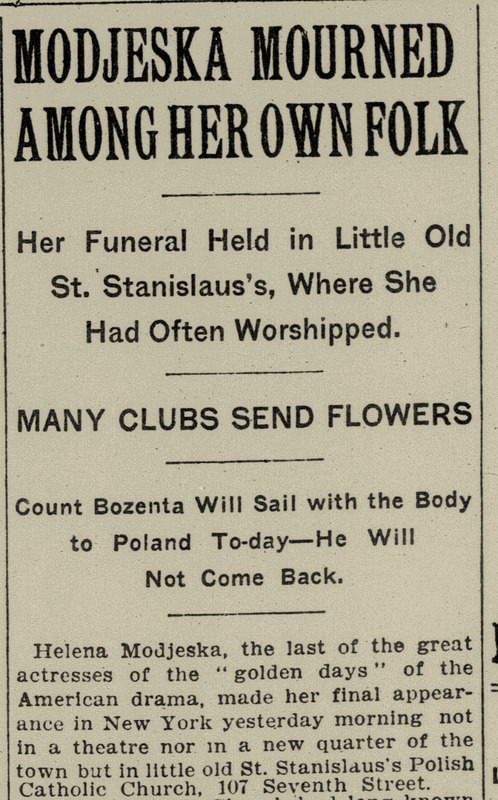 Helena died in Newport Beach, California on April 8, 1909. She was survived by her husband and son Ralph Modjeska who was a well known civil engineer. 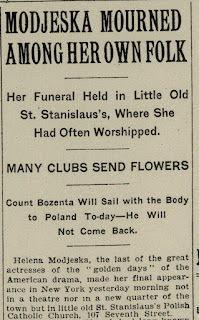 Her body was returned to Krakow, Poland where she is buried. 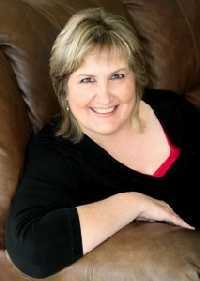 For those who would enjoy reading more, Helen's autobiography can be found online. Despite today's expected high temp of 96 degrees here in Fort Worth, Texas, autumn is on its way. To usher in cooler weather I thought you might enjoy some nice hot soup recipes from The First Texas Cook Book. Yes, that's how cookbook was spelled back in 1883 when this "thorough treatise on the art of cookery" was first published. 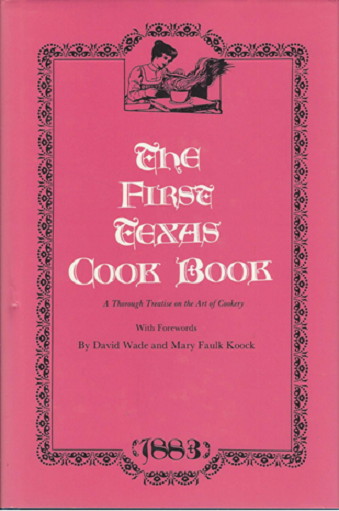 The wording in some recipes is dated, ingredient measurements a bit vague, but it's fun to see how Texans ate back then, at least in towns and cities. At that time Houston had a population of around twenty thousand and boasted its first electricity in one hotel barroom. Ten railroads also entered Houston in 1883. 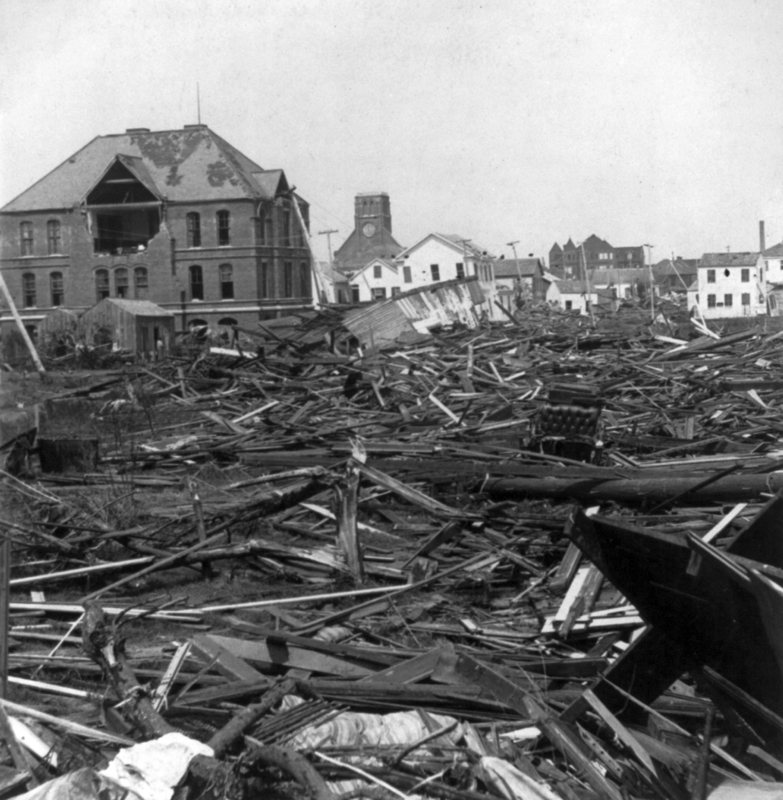 The city had a mile of plank paving, 18 blocks of graveled streets and 2 blocks of stone pavement. The rest, as a rule, was dirt - or mud. Now for those recipes I promised. These are taken directly from the book, so please make allowances for the format and any possible misspellings. Also keep in mind that these cooks could not dash to a supermarket for their ingredients. Take one dozen crabs, boil thoroughly and pick out; two and a half quarts okra, chopped, and one large onion, also chopped; fry two-thirds of the ochra with the onion; have a gallon of water in a pot, take two slices of ham, all the okra and two tablespoons of rice, put into the water and boil down to a thick gumbo; this will take two or three hours; season to taste, and about an hour before ready to serve put in the crabs [meat]. To make beef gumbo, use beef instead of crabs, and add a few tomatoes. For chicken gumbo, fry a chicken brown and pick off from the bones, and use in place of crabs or beef, adding tomatoes as before. 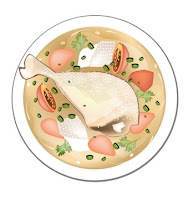 Cut up a large chicken, boil gently in three quarts of water, removing all scum; to half a gallon of soup add half a pint of rice, a few sprigs of parsley, pepper and salt to taste; boil till the chicken is done, add half a pint of sweet milk and one tablespoon of corn-starch, stirred into a spoonful of butter. 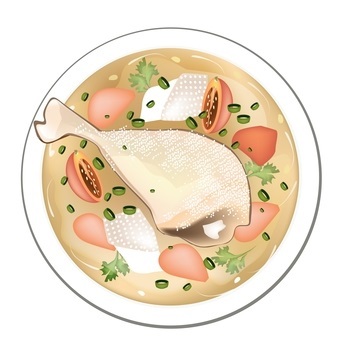 The chicken may be taken out and used for salad, or picked fine and added to the soup. Old fowls are best for soup. If the soup is for a sick person omit the butter. By making this soup without rice, adding milk or cream and oysters seasoned nicely, you have a most delicious soup. Cut a knuckle of veal in large pieces and break the bones; allow each pound a little less that a quart of water (milk is better), season with salt, half a dozen blades of mace and saltspoonful of cayenne. Boil until the meat falls to pieces, then strain into a clean soup-pot. 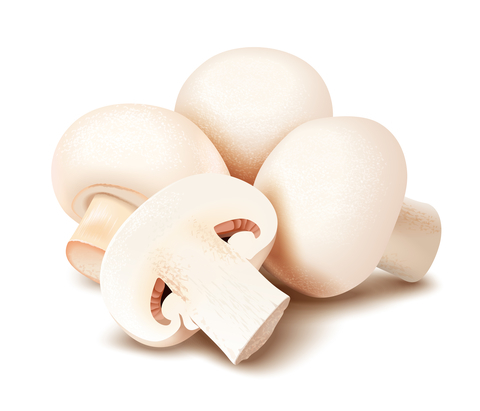 Have ready a large quart of mushrooms, pealed and divested of their stems, put them into the soup, adding a quarter of a pound of butter divided into bits, each bit rolled in flour; boil until mushrooms are tender, keep closely covered, have toasted bread in small pieces in the tureen and pour the soup over it. 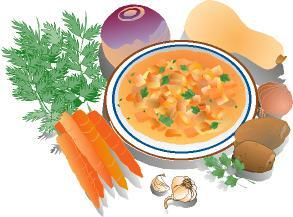 Two turnips, two carrots, four Irish potatoes, one large onion, one parsnip, a few stalks celery or parsley. Cut all very fine; add a spoonful of rice; put the whole into three quarts of water; boil three hours. Strain the soup, return to the kettle and place over the fire; add a piece butter the size of a nut; stir the soup until the butter melts; add a little flour, let it boil, and then serve. If you have the time and energy to try some of these recipe, enjoy! 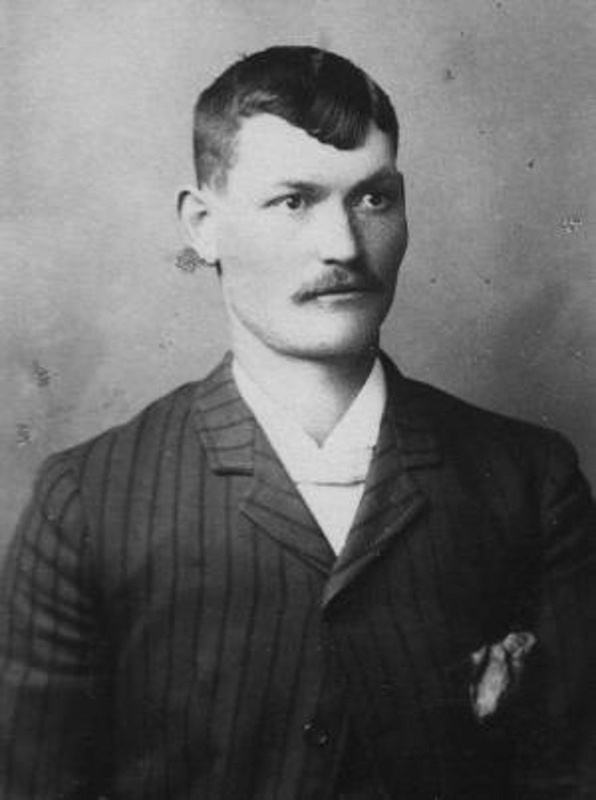 Johnson County, Wyoming, April 1892 and the Wyoming Stock Growers Association "Regulators" and their hired hit-men from Texas were about to run into a force of nature named Nate Champion. 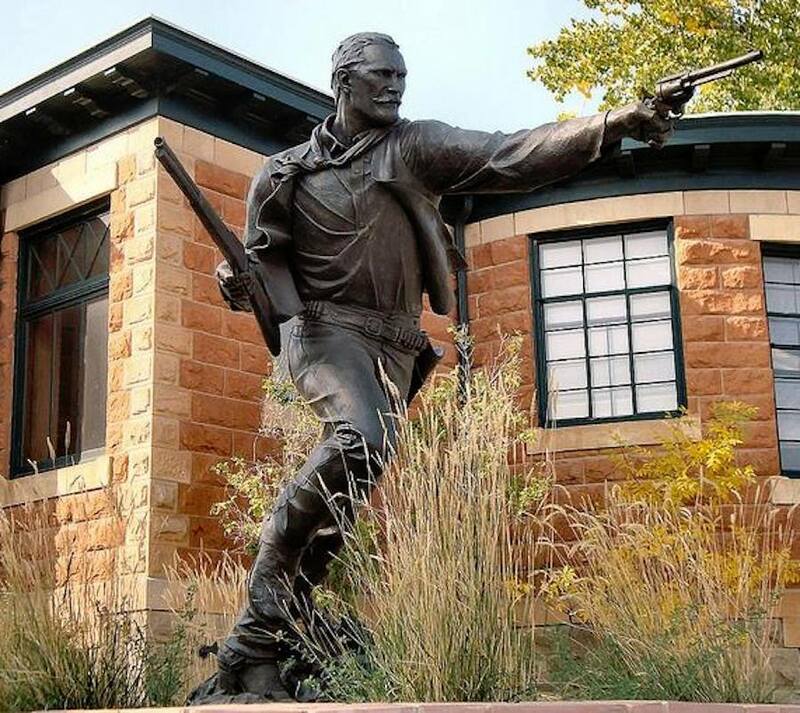 Champion was the working-class hero in contrast to the cattle barons in Wyoming. He’d been a top hand at several ranches, was good with a gun, said to be a good cowboy, and generally was well respected by most everyone—UNTIL he organized the Northwest Wyoming Farm and Stock Growers Association for the smaller ranches struggling to survive against the cattle barons who composed the WSGA. He helped create a competing spring roundup after the large ranchers wouldn’t allow the small ranchers to join their annual roundup. Champion further incurred the wrath of the WSGA when he grazed his cows on the public range claiming he had as much right as the big ranchers did. The morning of April 9th was cold, with the wind howling down out of the north and bringing snow with it. In the snow, fifty of the most trusted men employed by the barons, as well as the twenty-two Texans, attacked Champion’s ranch. Nick Ray, Champion’s friend, was mortally wounded in the first volley of shots. Under withering gunfire, Champion pulled his friend to safety, though Ray died shortly afterward. For several hours, Champion held off the hired guns of the WSGA until the gunmen set fire to his cabin. His journal--which miraculously survived the fire--reveals that Champion knew his time was up. He wrote that the gunmen were planning to fire the cabin and they aimed "to see me dead this time." Armed with a knife and his revolver, Champion charged out the door. More than 20 bullets were found in his body when he was finally allowed to be buried several days later. He was only thirty-five years old. That Champion survived on April 9th as long as he did ranks this gunfight as one of the most amazing fights imaginable. That the cattle barons of the WSGA didn’t realize by killing Champion they’d be creating a hero for the smaller ranchers to rally around was another amazement, or it goes to their arrogance. I never can decide which it is—or if it was both. 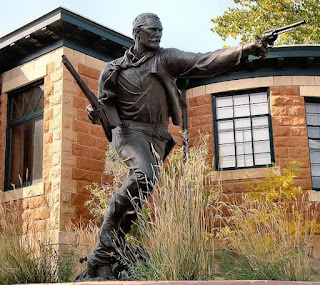 The Johnson County war was the stuff that created larger than life heroes, revealed just how villainous greed, money, and power can make people and has provided fodder for Western writers for generations. During my growing-up years, I watched reruns or as-they-aired episodes of what are now classic television westerns: Bonanza, Gunsmoke, Lone Ranger, The Big Valley, High Chaparral, Rawhide, Laredo, The Virginian, Sugarfoot, Cheyenne, Maverick, Wagon Trail, Tales of Wells Fargo, Branded, Wyatt Earp, Johnny Yuma, Laramie, Broken Arrow, Guns of Will Sonnet, Zorro, Lancer, Cimarron Strip, Yancy Derringer... The list goes on and, no doubt, you each have your favorites. 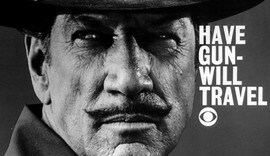 It just so happens that one of my favorite classic western television shows is celebrates its premiere date this month. Sixty-one years ago (September 14, 1957), the television-watching population enjoyed the premiere of the thirty-minute, Saturday night western show, Have Gun - Will Travel, starring Richard Boone as the somewhat mysterious soldier of fortune, but always a gentleman, Paladin. The premise of the show was Paladin worked as a gunfighter-for-hire who traveled the west c. 1875 offering his special kind of problem-solving skills. He was a high-dollar gunman—$1000 per job wasn’t unusual—but he also provided his services for free to those with a worthy cause who couldn’t afford him otherwise. However, violence by gunplay wasn’t his only weapon. He was a pugilist and dueling champion of some renown in his former life. The word ‘paladin’ derives from the knights in Charlemagne’s Court, who were champions of worthy causes. Paladin was a Union cavalry officer and graduate of West Point. His residence is the luxury Carlton Hotel in San Francisco. When not riding about the countryside doing good deeds—dressed as the original “Man in Black”—he lives the life of a cultured businessman who wears custom-made suits, consumes fine wine, plays the piano, and attends the opera. He also has a weakness for women. With just a sip, he can determine a particular bourbon’s distillery. Paladin is an expert chess and poker player, an accomplished swordsman, and possesses skill in Chinese martial arts having studied under a Kung Fu master. His level of education is such that he quotes classical literature, philosophy, case law, and he speaks several languages. Paladin’s weapons: 1) custom-made, single action .45 Colt (Army cavalry model) that he carries in a black leather holster adorned with a platinum chess knight symbol, 2) lever action Marlin rifle, and 3) concealed derringer. The show’s four note opening motif was done purposely to create a musical memory akin to other popular television shows at the time: Highway Patrol, Dragnet, Twilight Zone, and Perry Mason. The show closes with the song, “The Ballad of Paladin”, which was written by Johnny Western, Richard Boone, and Sam Rolfe. Johnny Western sings the ballad. The show ran from September 14, 1957 to April 20, 1963 with 225 episodes. A radio version began on November 23, 1958 and ended November 22, 1960 with actor John Dehner portraying Paladin. 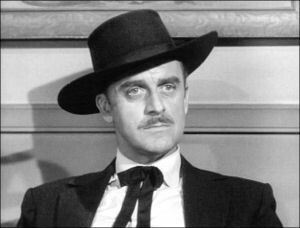 John Dehner is one of those Hollywood character actors whose name rings a bell, but you can't put a face to the name until you see him. 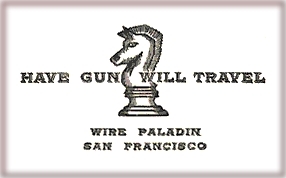 Paladin was a West Point graduate, a Civil War cavalry officer, and his base of operations was the Hotel Carlton in San Francisco, California. While it's been too many years since I've watched these episodes, I've read that in the episode entitled "Fandango", Paladin encounters a sheriff who knew him from their Civil War days. The sheriff calls Paladin 'Bobby' and goes on to say, "It's been a long time since Bull Run." Maybe Paladin's real first name was Robert. Generally, though, the consensus is his real name is never revealed. However, Paladin’s backstory is shown in flashback sequence in the first episode of the last (6th) season, “Genesis”, which aired September 15, 1962. This episode explains how Paladin came by his pseudonym and his subsequent mission to champion the causes of the less fortunate. It isn't his shining moment. Through his actions, another man dies, and Paladin takes on the dead man's identity and mission as a type of penitence to atone for his own actions. Read the episode details at the HGWT Website. Have Gun-Will Travel. Wikipedia, the free encyclopedia. Wikipedia.org.https://en.wikipedia.org/wiki/Have_Gun_–_Will_Travel. Creative Commons Share-Alike Attribution License. There are those who think the Old West ceased existing with modern living. They think cowboys are a thing of the past or maybe only in movies or rodeos. I suspect not many of them read Sweethearts of the West where it's more likely known that the cowboy way of life still exists. 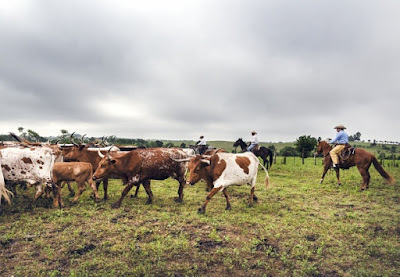 Today, cowboy grit is how it gets done on big and small ranches, wherever people raise herds and live on the land, facing the elements, often not working for much material gain, struggling with economics, and against an encroaching modern world. It still exists in both fiction and non-fiction. Although I’m a Texan, my father's and mother's family were Oklahoma pioneers. Daddy's family moved from Georgia to Texas and then to Oklahoma. Mom's family moved from Tennessee to Oklahoma. The following is part of an account by a member of my paternal step-grandmother's Garton line regarding their move from Hill County, Texas to Old Greer County (now Harmon County), Oklahoma in 1899. The entire account is too long to include here, but I hope you find this portion interesting. It's from an oral history recorded in 1978. 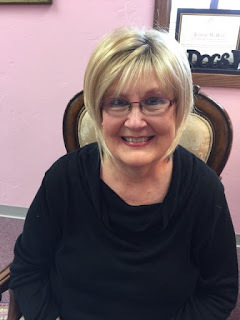 "...We camped at Mr. Brim’s because he had water. There was an empty dugout nearby. We moved into it because it was so There was an empty dugout nearby. We moved into it because it was so cold in the tent. We had a sheet-iron stove, but there wasn’t any wood. Willy had pneumonia. The gyp dust of the dugout turned out to be worse on him than the cold, and so we had to move back into the tent. It didn’t take long for us to get initiated to the hazards of living on the prairie. Rain was our chief concern. Everyday we searched the skies for rain clouds. When we saw a rain cloud approaching, we always remembered what a settler’s wife had told Papa when we camped out on Turkey Creek. He had gone to try to buy food for the animals. He asked if it ever rained in Greer County. In a long drawn out tone she replied, "It don’t never rain in Greer County, but when it does, it don’t never stop." cattle could be on the roof. Murray and Papa finally finished the new dugout. There we were—seven kids and Mama and Papa—and we didn’t own one dollar in cash. Mr. Brim helped Papa get groceries "on account" in Quanah. He had a fenced garden spot that he said we could use. Mr. Payne let us milk two of his cows. Then we started breaking land with our horses and that old mule. We didn’t make any crop that first year, but we did get all of the land broken. The second year we planted maize and cotton. Papa would dig the holes and I would place the seeds in the holes. The maize was the old goose-necked variety that grew as high as a man’s head and then curved back toward the ground. We had to cut each head separately with a knife. It was difficult for us to reach. Our hands would get cut by the sharp blades of the leaves and, once in a while, by the knife. closest railroad. Four or five families would sometimes get together and go over there because we had to ford the Red River. If the river was up, all of the horses would be hitched together in order to pull the wagons across one by one. We had to tie everything down in the wagons or we might see our supplies floating down the river. We would never know whether or not the river would be high. There might have been thunderstorms further west we knew nothing about. It seemed like we were always in debt to that man at Quanah. I remember one of the first years when we made a good crop. Papa went to Quanah to pay off our bills. When he came home, he said, "Well, Susan, I didn’t tell you, but now I’ve paid it off I guess it can’t hurt to tell you. I mortgaged the mule last spring." Mama was shocked. She fretted the remainder of the day. She said over and over, "Just think, if we hadn’t made this crop, we’d lost that mule, and then how would we have broken the land for next year’s crop?" The year after Papa mortgaged the mule, he traded it for the price of digging a well. The man had to dig 115 feet before he hit water. We had to draw all our water—even for the stock. Whose job do you think that was? Talk about "the good old days!" If I didn’t think Mama or Papa were watching, I would drive the cattle away—they would drink too much. Our next biggest worry was the damage caused by the open range policy. Before the Herd Law was passed, the cattle would eat our maize crop and trample our cotton. There weren’t any trees around for fence posts. All the lumber had to be freighted in from Quanah. Besides that, barbed wire cost money, and we were always short of money. Willy got a job in Texas. That $10 a month he made sure helped us. One of most vivid memories relating to that open range policy was the day two bulls got into a fight on the top of our flat topped dugout. 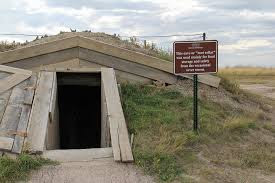 We were afraid to go outside because they might attack us, and we were afraid to stay inside because it sounded as if any second they could come crashing through the roof. Finally, they gave up and went away. I was just nine years old when we moved from Hill County, Texas. 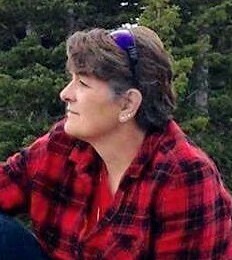 Oh, how homesick I would get for all those beautiful trees I used to climb (I was the tomboy of the family) and the creeks I used to wade in. I missed our big house too. Everything got so dirty in the dugout. My brother-in- law Ed, who had said this country wouldn’t sprout black-eyed peas, brought my sister Attie to see us. They decided to homestead north of us. We were all together then, and I knew there wasn’t much hope of going back. All of us children had to work in the fields planting and harvesting. In the winter we went to school. I loved school and secretly dreamed of going back to Texas to high school. My aunt offered to take my older sister Lucinda and send her to high school so that she could become a teacher. When my sister refused, I asked Mama if I could take her place, but she shrugged it off by saying that I was too young and should stay at home..."
Readers, don't look for Martin on the Oklahoma map. When the railroad passed the town in favor of Hollis, Martin Township died. Even Hollis' population has dwindled now that the railroad no longer goes there. And if you are wondering why--if Willy couldn't breathe in the dugout--his father and older brother built another one, it's the gypsum. Gypsum deposits run through some areas of Old Greer County, now Harmon County. Since the gypsum-filled dugout was on Mr. Brim's land, one can only guess that the Brim's had either built the dugout in a gypsum deposit or used limestone/gypsum wash to paint the inside of the dugout. I have no idea, but know that I prefer a brick home with a nice firm (cleanable) floor.